In a perfect world, you would be able to spend the entire day with your lovable pooch. But busy lifestyles, vacations, and long workdays can sometimes keep you away from your dog. When you need to leave your precious pet for an extended period, a doggie daycare can be a lifesaver, offering up loads of socialization, exercise, and training. But with so many facilities popping up all over the Lower Mainland lately, how do find the one that is the right fit for you and your pup? Here are some handy tips on how to choose the best dog daycare. 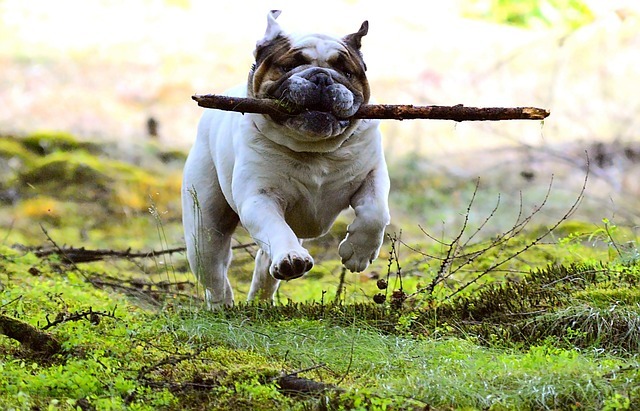 When it comes to finding a top-notch doggie day care Vancouver, you just can’t beat great word-of-mouth. Ask around, getting referrals from family, friends, and neighbours. You can also extend your reach through your social media circles to get some information about facilities in your area. See Ruff Stuff Dog Daycare Referrals Here. Google can be a pet owner’s best friend when you are looking for a dog daycare Vancouver. A quick search can provide valuable insight, reviews, and experiences other people have had with a doggie daycare centre that will point you in the right direction. Learn about Ruff Stuff’s dog daycare Squamish facility here. Once you’ve done some research, you’ll absolutely want to do an in-person visit of the Vancouver dog daycare. Contact the centre and ask for a tour of the facility. Taking the time to pay a visit to the daycare will help you gauge the professionalism of the facilities and the staff, ensuring that the environment is safe, friendly, and clean for your pooch. Touring the Vancouver dog daycare is also great opportunity to speak with the staff and ask important questions. Are there vaccination policies in place? Are the dogs properly and constantly monitored? Will staff immediately inform you if there is a medical or behavioural issue with your dog? Do they keep the facility free of health hazards? Does the dog daycare carry quality and approved supplements, toys, and treats? A few key questions will give you peace of mind knowing your precious pooch is in the best hands possible. It’s not good enough that you approve of the dog daycare—your pup needs to give it the paws up too! Most professional daycare employees will encourage you to bring your pooch in for a trial visit. That way, your pet can get a feel for the place, having the opportunity to meet the staff and other dogs. Choosing the best doggie daycare can be tricky, but it doesn’t have to be. With a little homework and the right questions, you will find a great facility both you and your fur baby will love. For professional and friendly dog daycare, contact Ruff Stuff today!